Mayor Sims called the regular Council Meeting of August 11, 2014 to order at 7:30 P.M.
Mayor Thomas Sims and Council Members Allan Palmerson and Angelo Cilluffo answered roll call. At 7:40 PM, due to lack of a quorum, the meeting was recessed until 7:30 P.M. August 19, 2014. Mayor Sims called the recessed Council Meeting of August 11, 2014 to order at 7:30 P.M.
Mayor Thomas Sims and Council Members John Ruymann, Allan Palmerson, Angelo Cilluffo answered roll call. Councilmember Fallow had left a message stating she would be late; however, she never made it. Motion was made by Councilman Ruymann with a second by Councilor Cilluffo to accept the July 14, 2014 regular meeting minutes with one correction; Mayor Sims’s named was misspelled. Motion carried. City Signs: After discussion, a motion was made by Councilman Cilluffo, with a second by Councilor Ruymann to pay for the signs out of the Capitol Improvement Fund, up to $5,000. A motion was then made by Council member Cilluffo and seconded by Councilor Palmerson to cover the cost. Community Transformation Grant: Deborah Baker of Timberland Library presented information about exercise equipment available for the City Park. Motion was made by Councilman Cilluffo, with a second by Councilor Ruymann to accept the equipment if there will be no cost to the City for installation. The department is currently unable to obtain any new officers. Therefore, Oakville will be seeing a decrease in patrolling hours. Public Works Director, Dan Thompson’s Water, Streets, Cemetery, Parks & Misc report was included in the packets. Open Council Position: A motion was made by Councilman Palmerson and seconded by Councilor Ruymann to appoint Julie Zehe to fill the council vacancy formerly held by Richard Hawkins, who resigned. A Roll Call vote was called. John Ruymann : yeah Angelo Cilluffo : yeah Allan Palmerson : yeah. Councilmember Zehe was sworn in at 8:30 P.M.
City Repair Bids: Council discussed various funding options, setting the budget for the project at $60,000. The Friends of the Oakville Timberland Library presented their loan proposal for the project. Motion was made by Councilman Cilluffo, with a second by Councilor Zehe to review for 30 days and look at what various funding sources have to offer. 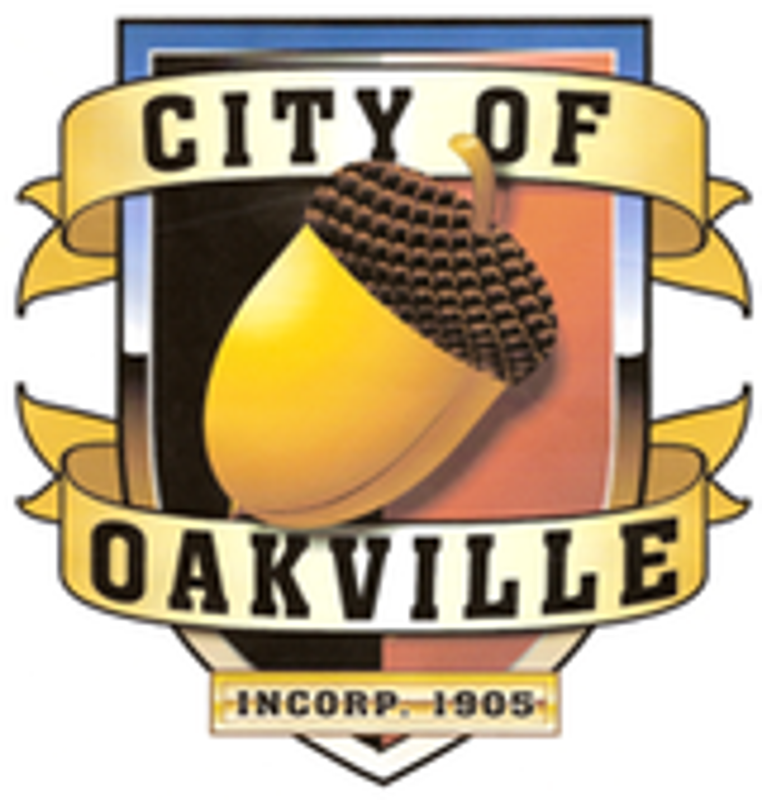 Library Proposal: The Friends of the Library offered to loan the City of Oakville $50,000 at 4% interest to renovate the library. There was a contract at the meeting ready to be signed. The council chose against signing until after all of the contract requirements were reviewed and other options explored. Amy Durga, Oakville’s Clerk/Treasurer submitted Checks #17768 thru #17773 dated 06-23-14 in the amount of $1,158.25. Checks #17774 thru #17795 dated 07-11-14 in the amount of $8,424.79. Payroll Checks #12167 thru #12183 dated 07-30-14 in the amount of $16,269.63. Motion was made by Councilor Cilluffo and seconded by Councilman Palmerson to accept the Clerk’s Report as presented for payment of the bills. Motion carried. CITIZENS COMMENTS: Amy Thompson questioned whether the Friends of the Library, a non-profit organization, could loan the money to the city with interest being charged. The answer to that question will also be researched. It was stated that they could give the money in the form of a grant if they wanted. All of the Council members as well as Mayor Sims welcomed new council member, Julie Zehe. At 9:00 P.M. Mayor Sims adjourned the meeting.